Continue reading "Make Homemade Baby Food - Recipes, Ideas and Tips for Toddlers"
Parenting: Illustrated with Crappy Pictures - The BOOK! Just a quick note to say my book comes out next week! Does it have anything to do with crafts? No, no it does not. But it DOES have to do with parenting and will make you laugh. Isn't that crafty of me? 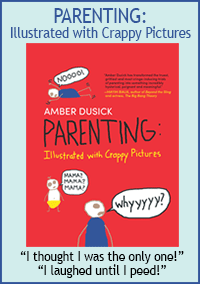 Continue reading "Parenting: Illustrated with Crappy Pictures - The BOOK!" 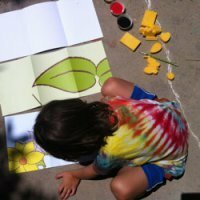 Kiwi Crate Review - Crafts for Kids! Also? Kiwi Crate is offering my readers a special discount! Get $5 off a monthly subscription (code = BOOK2) or sign up for a year and get two months free (code = BOOK7)! Offers valid today through 8/26/12. 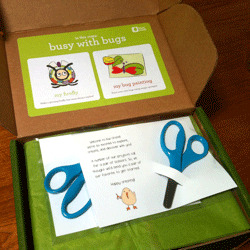 Continue reading "Kiwi Crate Review - Crafts for Kids!" It works with your computer like a printer and you don't have to buy cartridges of images, you buy them one at a time online or you can make your own with the software provided. Works with a Mac or PC, which was a biggie for me. It cuts fabric. Like perfect fabric appliques. 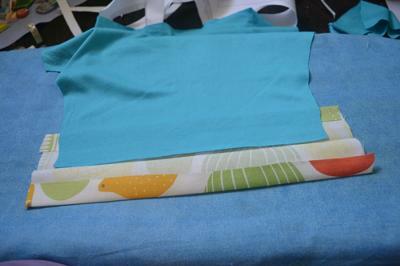 Check out my fabric cutting project where I used the machine for the very first time. Also? 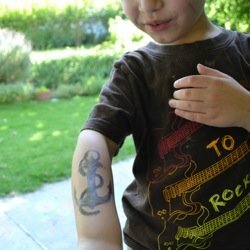 Make at home temporary tattoos. 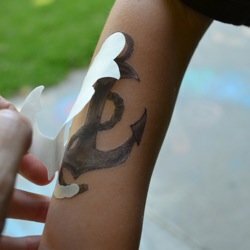 My little pirates were thrilled by this in particular. See more about my tattoo project right here. Wouldn't this be cool for birthday parties and to tuck into Valentine's cards? It also cuts cardstock (and you can cut out 3D shapes, cute boxes and ornaments!) not to mention vinyl. Yes, vinyl. The kind that is so popular to stick on the walls. And check out the heat transfer material for clothes. There is other stuff too, if I keep going this will be the longest post ever. So because the folks at Silhouette are lovely, you guys get a special discount now through the 29th. I have a feeling there are some baby crafters out there who could put one of these to good use. PS - you'll also probably want to pick up some heat transfer material and some fabric interfacing and maybe some vinyl too. All of that stuff* is 25% off with the same code: BABYSTUFF through the 29th! If you still aren't convinced, go to the Silhouette inspiration blog and check out all the amazing things you can make. full disclosure: they sent me one to play with but I didn't receive any $ for this review. I only review things I truly love. Continue reading "Silhouette discount code and oh how much I love this thing"
Ok folks, I started a Parenting. Illustrated with Crappy Pictures Facebook Page for you to "like" if you want to keep up and not miss any new ones. The entire series can be seen right here in case you have no idea what I'm talking about. I won't be posting about them over here so we can get back to crafting in this space! Speaking of crafting...I've got a really super cool promo discount deal on a craft product for you tomorrow. Stay tuned. 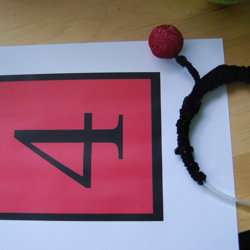 Continue reading "Crappy Pictures Has a Facebook Page and something else"
Continue reading "Silhouette Cuts Fabric for Applique"
Did I mention that the pirate love has hit my four year old (which means my 18 month old too) and he has been asking me for pirate gear? 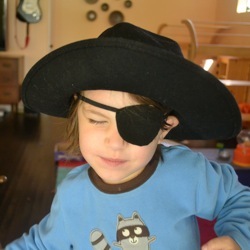 Here is my Pirate Eye Patch Template which is a quick project for hand sewing using felt and elastic - no sewing machine required. 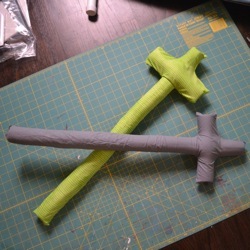 I also made them these soft sewn Toy Pirate Swords which are way better than the (more dangerous) tree branches they were using. Cheap to make too. I hope you ARRRRRRR having a good week! Continue reading "Yo Ho Yo Ho Pirate Crafts For You"
Sara Brewer who said: "I want an ergo baby carrier soooo bad!!!" 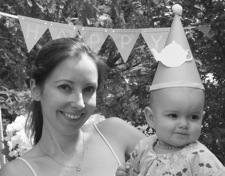 Congrats Sara and thanks to everyone who entered and especially to ERGObaby Carrier! 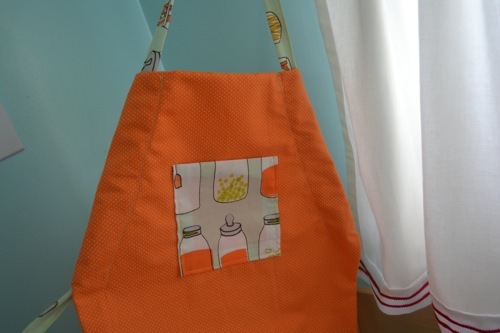 Continue reading "Winner of the ERGObaby Giveaway..."
Apron Pattern for your Half Pint Helpers! I have a new one for you today! This child's apron pattern is a fast sew and is adjustable to fit sizes 18months to 5T. It will come in handy for several years of cooking with your little ones. We're making cookies today in fact, now that this apron is posted and we can get it dirty! You'll also see that my photos in this particular tutorial aren't very spectacular. 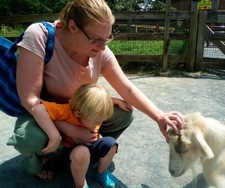 This is because I'm a real, live actual mama to little ones! Sometimes, my only time for sewing and tutorial making is in the wee hours of the night when everyone is asleep. Doesn't make for pretty sunlight filled photos, but hey, I'll take what I can get. 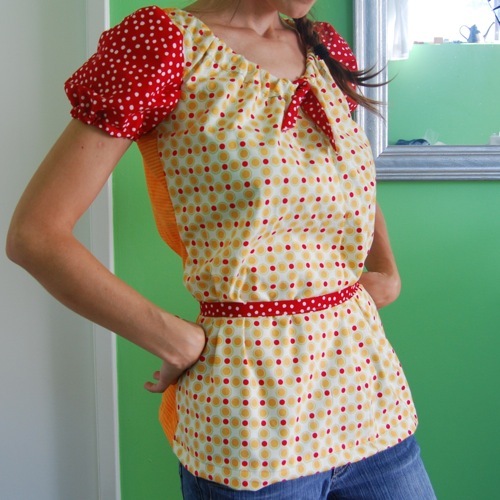 Continue reading "Apron Pattern for your Half Pint Helpers!" Yay!!! I get to giveaway an ERGO of your choice to one lucky winner! You can Comment HERE to enter and read the scoop! Ends May 22nd. PS - no Facebook or any other account needed to comment this time, thanks for the feedback on that! Continue reading "Giveaway: ERGObaby Carrier!" Introducing our newest sponsor, VisionaryMom.com, where Lisa offers coaching, workshops and ecourses to help mamas make their dreams happen. Hard to find the time to make your dreams happen while you have little ones relying on you, right? Believe me, she knows. Continue reading "Sponsor Intro! VisionaryMom.com"
A number of people have emailed me over the years asking me how to sew cuffs on baby pants easily. I made some pants last week for a friend's son and remembered to take a couple photos! Continue reading "How to Easily Sew Cuffs on Baby Pants"
Enter to Win a Dress from Shabby Apple, Just Comment! We are hosting a giveaway for this beautiful dress from Shabby Apple! You can Comment HERE to enter and read all about it! Contest ends Friday, April 29th! Continue reading "Enter to Win a Dress from Shabby Apple, Just Comment!" I've been working on my 18 month old's summer wardrobe and have been busy sewing simple comfy stretchy tank tops. I love tank tops for little ones since it is SO hot where we live. 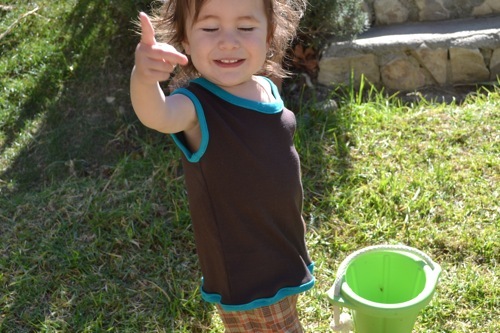 My new free baby tank top pattern is super easy, just two pattern pieces. Continue reading "Free Baby Tank Top Pattern for Summer"
We go to a local Renaissance Faire every spring (food, horses, costumes!) and we're going again in a few weeks. 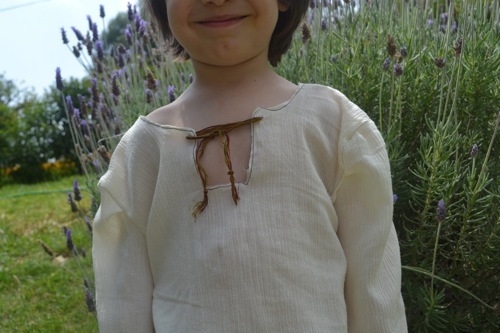 My son grew out of the tunic I sewed for him a couple years ago so I made a new one today. Here is the Renaissance style tunic pattern that I came up with. Only one size this time, but it fits loosely so it is a big range. Enjoy! 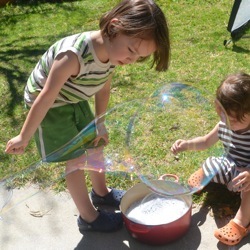 Continue reading "Renaissance Tunic Pattern"
Easy Homemade Bubble Solution for BIG Bubbles! 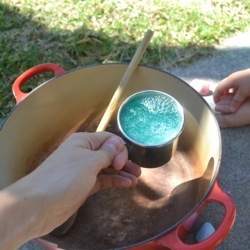 The weather is getting warmer and we've been having so much fun with this homemade bubble solution recipe in the yard. I will never buy bubble solution again! Continue reading "Easy Homemade Bubble Solution for BIG Bubbles!" Congrats to our winners and thanks again to our judges for doing the very tough job of deciding. Huge thanks again to our sponsor, Knit Picks, for the $100, $50 & $25 gift certificates and making this contest possible! 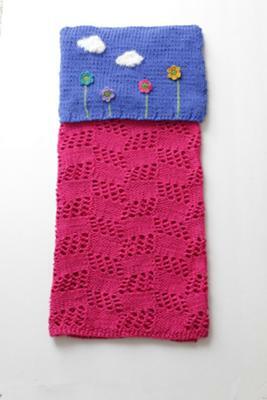 Continue reading "Knit Baby Blanket Contest Winners..."
Our Hand Knit Baby Blanket Contestis over! Winners will be announced next week, just as soon as we hear back from all the judges. Hey, cut them some slack, it is a hard job. 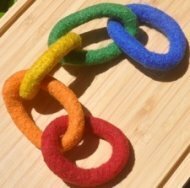 Who will win the $100, $50 or $25 gift certificates from Knit Picks? Find out next week! Thanks to EVERYONE who entered & good luck! Continue reading "Baby Blanket Contest Over...Winners announced soon"
I'm only a month late with my wooden perpetual calendar but since it is perpetual, you can make this any time of year. We are LOVING this calendar. 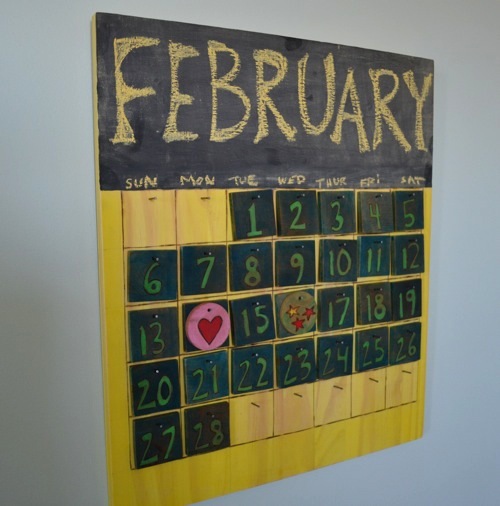 Continue reading "Interactive Wooden Kids Calendar"
Our new January Crafty mama interview is with Michelle of Babus Toys! I admit we have a couple of her toys and they are huge favorites in our house. Continue reading "Crafty Mama January: Michelle, Babus Toys"
Announcing a Hand Knit Baby Blanket Contest! Announcing our newest contest! Hand Knit Baby Blanket Contest! Submit your own hand knit baby blanket photo and you could win a $100, $50 or $25 gift certificate from Knit Picks! Yarn, needles, books, oh my! Time to get those needles out for the rest of winter, right? Or maybe you already knit something up for the holidays? Keep those babies cozy in their blankets. Come join the knitting fun and submit your photo here! This will be our last knitting contest this winter as spring is just around the corner, although I know it doesn't feel like it for those of you buried in snow. We have four amazing judges ready to do the hard job of picking winners and you can see who they are right here on the contest page. As usual, I may be highlight a few entries here and there on the blog for your winter knitting inspiration. Huge thanks to Knit Picks for making this contest possible! The contest ends February 15th! Continue reading "Announcing a Hand Knit Baby Blanket Contest!" The winner is Newborn Long Tail Baby Hat! Thanks again to Sundara Yarn! for being our lovely sponsor! We had 70 entries full of amazing inspiration! 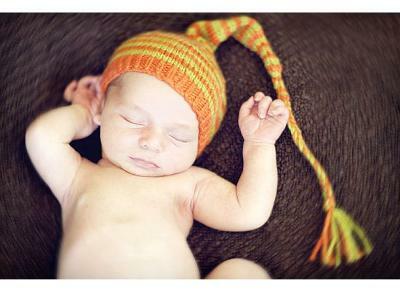 Continue reading "Hand Knit Baby Hat Contest Winner"
Last Chance to Enter Your Hand Knit Baby Hat! Just two more days left of our contest!! Hand Knit Baby Hat Contest! 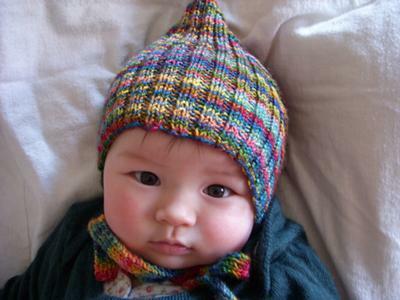 Submit your own hand knit baby hat and you could win a $100 gift certificate to Sundara Yarn! As I write this, we have 49 entries and they are ALL amazing, we've really enjoyed peeking at these over the last few weeks. Only two more days left to join in and submit your photo here! The contest ends this Friday, December 10th! Continue reading "Last Chance to Enter Your Hand Knit Baby Hat!" Our new featured Crafty Mama for December is Cheryl of Sew Can Do & the Green Hedgehog! You will love her blog, where she shares all kinds of tutorials for things like sewing high chair pad covers and felt doctor kits. 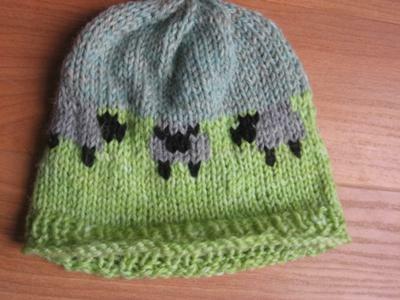 Plus, she sells patterns and her hilarious hats in her new shop, The Green Hedgehog. I want that Yoda hat. Continue reading "Crafty Mama December: Cheryl, Sew Can Do & The Green Hedgehog"
Toy Box Plans & Happy Thanksgiving! 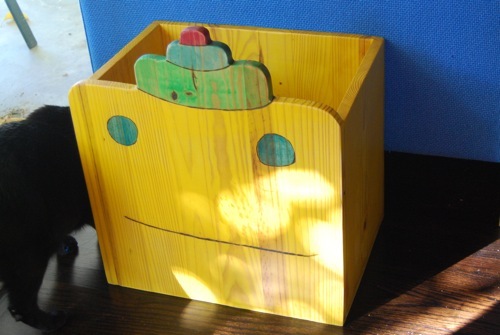 I finally posted a page about some of the handmade toyboxes I made recently, in a feeble attempt to gain control over the toy invasion that is about to happen over the holidays. Happy Thanksgiving to all my readers in the US! I'm so thankful for all of my visitors, you make this website possible! Continue reading "Toy Box Plans & Happy Thanksgiving!" Blood (okay, not blood) sweat & tears were shed over this Maternity Shirt Pattern and the workings of it started many moons ago. I finished it! The best part about this top? It is for pregnant mamas and non-pregnant mamas alike! Just change where you tie the belt! Continue reading "Free Maternity Shirt Pattern (and for mamas too!)" Knit Baby Hat Contest...submissions rolling in! Our Hand Knit Baby Hat Contest is going on right now and the submissions have started rolling in! And there are oodles more where those came from. You can go to the contest page to view all the submissions and even comment on the entries! 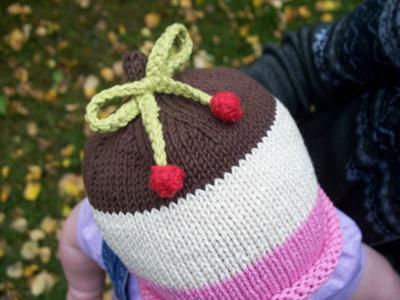 Continue reading "Knit Baby Hat Contest...submissions rolling in!" My youngest is just starting to show an interest in solid food and good grief I forgot how messy this is! So I needed to design some bibs. 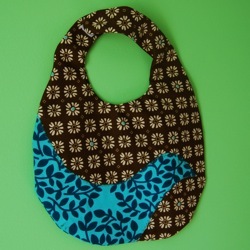 My Birdie Bib Pattern is reversible with a cute little bird applique. My Pocket Bib Pattern is a full-coverage bib that uses just one piece of fabric. Both of these include free, printable PDFs of the pattern to download as usual. Enjoy! 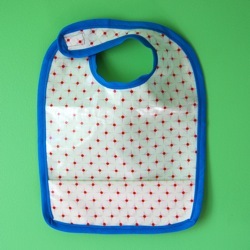 Continue reading "Not one but TWO Free Baby Bib Patterns"
Last time I'll bug you about business. Facebook Page. Yes! I made a Make Baby Stuff Facebook page today too. I'd love to connect with you guys. There are a truckload of people who subscribe to this feed...please come say hi! Continue reading "Last time I'll bug you about business. Facebook Page." Announcing a Hand Knit Baby Hat CONTEST! Announcing our newest contest! Hand Knit Baby Hat Contest! Submit your own hand knit baby hat and you could win a $100 gift certificate to Sundara Yarn! New knitters welcome! Time to get those needles out for winter anyway, right? Keep those babies heads warm & share your baby knit hats! Often a baby hat is the very first thing a new knitter will try. They are small, cute and relatively quick and easy. So even if you are a total newbie, you have something to share! It certainly has been a while since we did a contest and I've really missed seeing what you guys are up to. Come join the knitting fun and submit your photo here! I've had a lot of requests for more contests and quite a few from you knitters out there. I hope this one is lots of fun for everyone! PS - I'll be highlighting a few entries here and there on the blog for your winter knitting inspiration. The contest ends December 10th! Continue reading "Announcing a Hand Knit Baby Hat CONTEST!" My eldest son will be wearing this handmade robot costume this year. It is hard to get him to take it off. Not that I try too hard, it is just too funny to watch him walk around the house wearing this. And you? Are you making your little one's costume this year? Or have photos from last year? Share photos right here and tell us what you did! 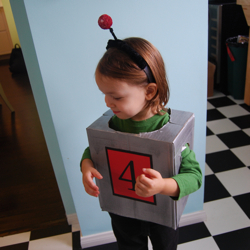 Continue reading "Toddler Robot Halloween Costume"